The North Carolina Forest Service just showed up on your logging job…now what? A core element of the agency’s responsibility to protect the forests of North Carolina includes routinely monitoring forestry-related activities to promote clean water. Learn more: What do Water Supply Systems and Forests Have in Common? Management of forests, which includes harvesting of timber, can be compatible with sustaining water resources. There are several state-enacted protection rules for streams, lakes, and wetlands; many of which apply to logging and forestry activities. The fundamental set of state rules for forestry and logging are called the North Carolina Forest Practice Guidelines Related to Water Quality (abbreviated as "FPGs"). The FPG standards apply statewide* to all forestry-related, land-disturbing activities; including public-owned lands. 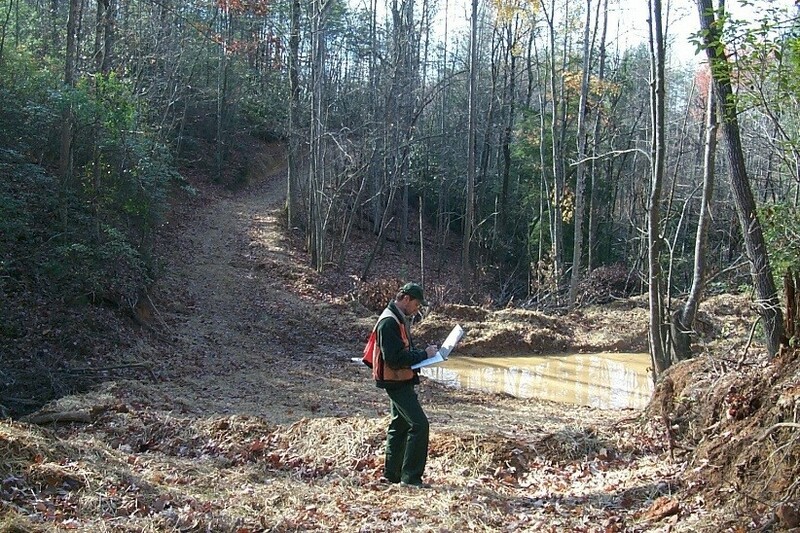 The N.C. Forest Service has the responsibility to inspect forestry and logging activities to determine if that activity complies with the FPGs, and with other applicable forest water quality protections. *State enacted rules are not applicable within the Qualla Boundary of the Cherokee Nation Reservation. The N.C. Forest Service is committed to providing personalized customer service, and generally takes an approach of Educating… Consulting… and Advising… before Regulating. Our rangers and foresters provide advice and recommendations to loggers on how to plan, deploy and maintain Best Management Practices (BMPs) that, when all added together and functioning correctly, often results in compliance with environmental protection standards. Our employee will walk the job site, observe the current status of the activity, and assess the appropriate FPG standards for compliance. Each site inspection is a 'snapshot in time'. However, our agency will often re-visit the same operation to assess compliance throughout the duration of the project. When a noncompliance is determined, the logger or operator is usually afforded a short window of time to resolve the issue, and our employee will do a follow-up inspection after the assigned due-date has expired. The N.C. Forest Service does not assign responsibility for resolving the problem -- -- all parties with a financial interest in that forestry activity share the responsibility. However, we generally communicate and share our expectations with those parties who are in ‘operational control’ of the activity -- that usually means the logger/operator and timber buyer. The N.C. Forest Service uses a set of forms to record our agency’s water quality site inspections. The most frequently used form is the "Forest Water Quality Site Inspection & Compliance Notification Form". You may hear our employees refer to these forms as the "48-oh-8" forms; that is because these forms are part of our agency’s operating Policy & Procedure number 4808. There are multiple forms in this series, 4808-1 through 4808-4, and each is used for a specific purpose. 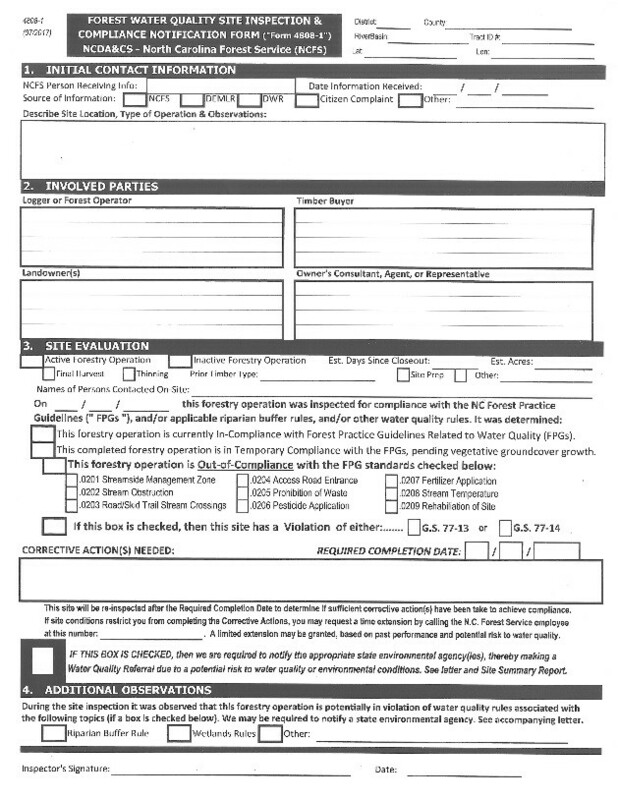 After an inspection, a copy of the form and a letter will be provided to each person that is known to have a financial interest in the logging job or forestry activity. This includes the property owner, logger/operator, timber buyer, landowner’s consultant agent (if any), and sometimes the manufacturing mill that received the timber. Each quarter, the statewide FPG inspection results are compiled into a database, and reports are generated that show information about each tract and operator that had a noncompliance recorded during that quarter. These reports are shared with representatives from multiple forest products manufacturing mills across the region, upon their request, as part of each respective company’s forest certification program oversight. These reports also provide observational trends in FPG compliance, and should help to guide future training and education effort. The N.C. Forest Service does not issue monetary fines or civil penalties. We go to great lengths to resolve a noncompliance through one-on-one education, consultation, and technical assistance. 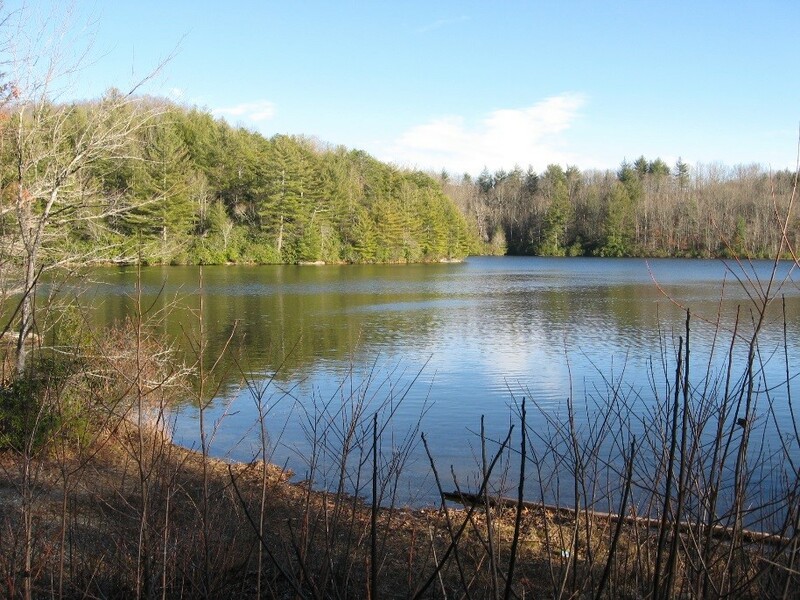 However, in the rare case when a water quality action is required, the N.C. Forest Service will prepare a documentation packet that includes the completed 4808 forms, a summary report, a map, and photographs. After being reviewed by our agency’s executive management, this documentation is then provided to the appropriate state agency; this interagency notification is known as a Water Quality Referral. An employee of the receiving agency will contact the property owner and other involved parties, and may inspect the site again; sometimes with the N.C. Forest Service participating if requested. The agencies that handle Water Quality Referrals from the N.C. Forest Service are listed below. Each agency has its own procedures for administering a violation case. 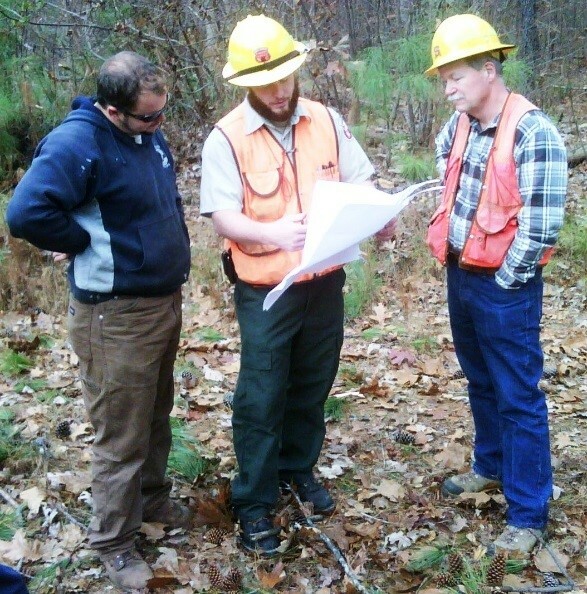 The N.C. Forest Service regularly inspects more than 3,000 forestry operations annually, and conducts just as many follow-up inspections on those sites. Each year, in total, the agency is averaging nearly 6,000 individual water quality inspections. Compliance with the FPGs standards is high on a statewide average, routinely exceeding 95%. Each year, we publish a Water Quality Year in Review leaflet, and it includes the inspection results from the prior state Fiscal Year. We encourage woodland owners, loggers, forestry consultants, and timber buyers to proactively contact the County Forest Ranger office ahead of time so that we can assist with pre-harvest planning, discuss reforestation options, and review forest management goals. In addition, we will respond to water quality concerns that are shared with us about a specific forestry-related job site. A more detailed description of the inspection process and applicable water quality protection rules are explained in Chapter 2 of the North Carolina Forestry BMP Manual. You can learn more about logging, forestry, and water quality in general from the Frequently Asked Questions About Logging in North Carolina, and the Water Quality portion of our website.